The 4A-GE had already proven itself as a strong and reliable engine which was used in the more sporty cars in the Toyota model range. But competitors like Honda and Nissan had cars with engine in the same class as the 4A-GE that were sometimes more powerful than the 4A-GE. So in the competitive Japanese market, Toyota had to come up with something to tip the scales in their favor. The chassis and undercarriage of the Toyota's could handle more power so to make those cars more competitive it was decided to fit a supercharger to the 4A-GE. The 4A-GZE was born. The first generation of the MR2 (AW11) was the first car to receive the supercharged engine. It was a well received car on it's introduction in 1984, but although it was by no means slow, it was sometimes criticized for being underpowered. So it was the ideal candidate for Toyota to introduce the new engine in. The first generation of the 4A-GZE was introduced in the MR2 in 1986 to be sold alongside the less powerful versions of the MR2. That first 4A-GZE produced 145hp and 190Nm of torque. More than enough for a small lightweight car like the MR2. But where the 4A-GZE equipped MR2 was also available in the US, the other cars that received that engine didn't make it outside the Japanese home market. But Toyota enthusiasts all over the world recognized the 4A-GZE as being a relatively easy upgrade for their 4A-GE equipped cars. Mechanically it was a straight swap with the engine they already had and was way more powerful. This made the 4A-GZE a very desirable engine for the flourishing Japanese car parts export and many mildly used second hand engines found their way outside Japan. Besides the MR2 the 4A-GZE was also installed in the top models of the AE92 Corolla (Levin) and Sprinter (Trueno) called the GT-Z. It also made it to the next generation of the Corolla and Sprinter (The AE101). 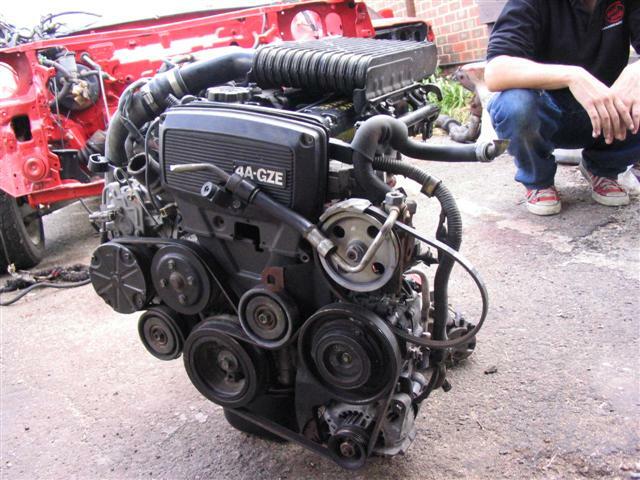 The 4A-GZE was at that time the most powerful 1600cc factory engine available to consumers in the Japanese market. But with rising popularity of Honda's high revving V-TEC engines, it created sort of a hype for high performance high revving engines. And to answer the demand of the market, Toyota developed the more advanced, high revving 20 valve variants of the 4A-GE. 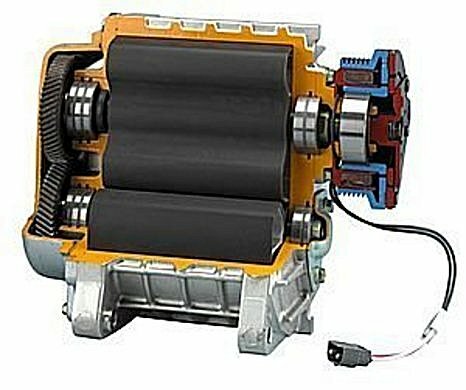 As supercharging wasn't really in demand anymore and these new 20V engines weren't really suited for supercharging, further development of the 4A-GZE was dropped. That did however make the 4A-GZE the most powerful 1600cc engine on the market for years to come as the naturally aspirated high revving engines didn't make the same power as the older supercharged engines. Although the 4A-GZE is based on the naturally aspirated 4A-GE engine, there are numerous big differences between the engines and converting a 4A-GE to a 4A-GZE takes more than just slapping on a supercharger and calling it a day. The 4A-GZE has several special parts that you would have to collect to convert a 4A-GE like the intake, bigger injectors, ECU, brackets for alternator and supercharger, DLI ignition for the later generations and last but not least: The SC12 supercharger itself. Cut-out of the Toyota SC12 supercharger that is used on the 4A-GZE. As with the 4A-GE, the 4A-GZE was further developed during its lifespan to make it more efficient. With that, there are no roughly three different generations to be distinguished, each with their own characteristics. I will give a brief summary of the different generations and their specifications below so that you can quickly see the development of the engine and the differences between them. The first generation of the 4A-GZE was based on the 4A-GE with the big-port cylinder head, but used the strengthened cylinder block with 7-ribs, the 42mm crank, 20mm piston pins and strengthened internals. The compression was lowered for the 4A-GZE and the internal parts like connecting rods and pistons were beefed up to handle the extra pressure and heat in the engine. The intake system had to be drastically altered to feed the supercharger and direct the pressurized air through the intercooler and into the combustion chambers. The T-VIS system wasn't needed with the supercharged engine. The supercharger is a Roots type unit with straight lobes that displaces 1200cc per revolution. Toyota designated it as the SC12 and it was fitted with a electromagnetic clutch so it could be engaged and disengaged for better fuel economy. Engaging and disengaging the supercharger was handled by the ECU and depended on the engine load. With low to mid range engine load the supercharger was disengaged and during high load and acceleration the supercharger was activated. The lobes of the supercharger were Teflon coated to reduce friction and to extend their lifespan. The ignition system was taken from the 4A-GE unchanged and still used the distributor and coil. A air flow meter was used to monitor the amount of air coming into the engine and larger 365cc injectors were used to provide the engine with fuel. The charge pressure the supercharger provided was about 6 psi and was cooled by a intercooler before it would enter the engine. +/- 145 hp @ 6400 rpm. 190 Nm @ 4400 rpm. The second generation of the 4A-GZE was still based on the big-port cylinder head, but some changes were made to the engine. Compression was raised to 8,9:1 and by making the pulley on the crankshaft that drives the supercharger smaller, the supercharger spun faster and provided more pressure. The injection system was altered to a D-Jettronic system with a MAP sensor and the ignition no longer used a distributor but was changed to a DLI system with two coil packs in a waste spark setup. All of this saw a rise in power output to 165hp and torque went up to 201Nm. In the late 1980's that was pretty much for a 1600cc engine. +/- 165 hp @ 6400 rpm. 201 Nm @ 4400 rpm. The third and last generation of the 4A-GZE was now based on the small-port cylinder head that was developed for the 4A-GE. In the normally aspirated engines, it flowed a lot better but for the supercharged engine, the difference wasn't that big. It did however mean that a new intake manifold had to be made to use the new cylinder head and the oil squirters that were now used in the 4A-GE also found their way into the 4A-GZE. All in all, with the new cylinder head, the power output rose again marginally to 170hp an torque to 208Nm. This was the last version of the 4A-GZE and was used in the AE101 Corolla and Sprinter GT-Z's until the more sophisticated and higher revving 4A-GE 20V's replaced it. 208 Nm @ 4400 rpm. When Toyota developed the new 20 valve cylinder heads for the 4A-GE, development of the 4A-GZE stopped. The 20V engines produced more power even without a supercharger and thus the need for forced induction wasn't there anymore. Besides that, the more complex and delicate setup of the 20V engines with ITB's and a VVT system wasn't really suited for forced induction and wouldn't really fit the character of these engines. But despite the 20V engines being more modern and advanced, they didn't make the same power the 4A-GZE did and for a long time the 4A-GZE remained the most powerful 1600cc production engine a consumer could buy on the Japanese market. They are still very popular and much sought after which has led to them becoming harder and harder to find in good condition and more valuable if you do.